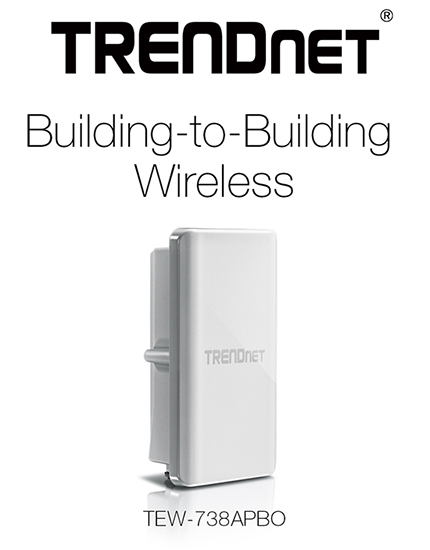 TORRANCE, Calif. - August 28, 2014 - TRENDnet, a best-in-class wired and wireless networking hardware brand, today announces the availability of the 10 dBi Outdoor PoE Access Point, model TEW-738APBO. "The TEW-738APBO provides the ability to extend an existing network to a remote location or connect to a wireless internet service provider network," stated stated Sonny Su, TRENDnet technology director. "It's rated for extreme weather conditions and features a powerful internal directional antenna." To learn more about and connect with TRENDnet, visit www.trendnet.com/company/, www.facebook.com/TRENDnet, www.twitter.com/trendnet, and www.youtube.com/Pixelpro80.